Australia could soon be exporting Navy vessels to Asia and the Middle East regions according to one of the German Offshore Patrol Vessel (OPV) tenderers. Defence Connect spoke with Harald Fassmer, managing director of German company and OPV tenderer Fassmer, who is one of the many defence industry figures with the hopes of developing a strong Australian naval export capability. 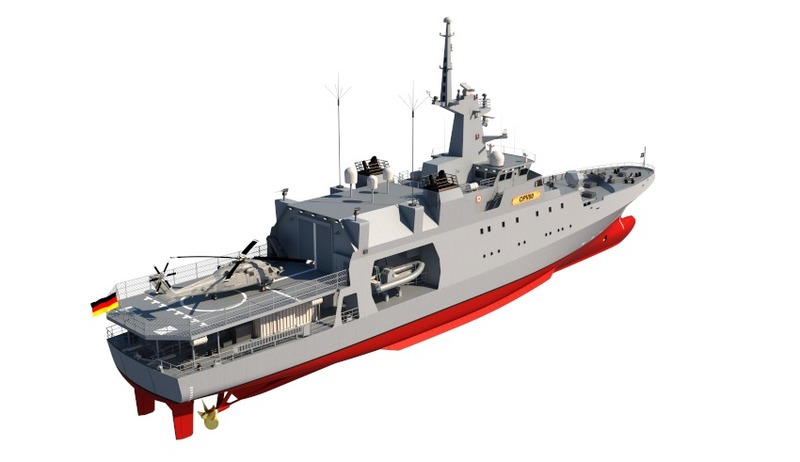 "We are very keen even to trust our well-proven design, which are not only OPVs, but yet they're very successful in designing, for example, environmentally-friendly vessels, technically advanced research vessels, which we think can be easily exported for the Australian government, but also for the Asian and Middle East regions," Fassmer said. And the managing director said its partnership with Austal, Australia's largest defence exporter, will be crucial in making this vision a reality. "For any supplier, when the supplier wants to get engaged in shipbuilding, there needs to be a certain volume," explained Fassmer. "If the volume is not big enough it makes no sense for a certain supplier to become active in a certain area. So that's why it is very good to know that Austal is not only working for the government, but has been very successful in exports, which creates an interesting market for suppliers in Australia." The German business' history of working and delivering vessels from foreign shipyards is one factor that Fassmer thinks will work in its favour, along with the structure of its partnership with Austal. "Our shipyard capacities are rather limited and we have been used to co-operating with foreign shipyards," said Fassmer. "With the co-operation we have with Austal... It's not that we plan to sub-contract to Austal. We intend and we have already agreed on a joint-venture structure where we have a real partnership and a balanced partnership that ensures that Austal will really get what it needs to move the OPVs, to use the design, but also to enable us to export maybe other vessels where we have been very successful both here and in Europe already." AustalFassmer, German company Lürssen and Dutch company Damen are the three shortlisted contenders for the $3 billion contract that will see the winner deliver 12 vessels to the Australian government. Two vessels will be constructed in South Australia while the remaining 10 will be built in Western Australia.